Now you can enjoy the many individual and family benefits of Private Club membership at our prestigious location in West Palm Beach. 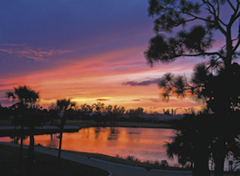 Membership in Ironhorse Country Club is more than playing a spectacular round of golf at one of South Florida's most beautiful private golf clubs. 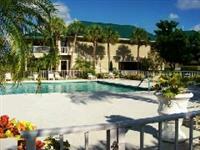 You also have the opportunity to join a vibrant, private social club with a host of activities and amenities. 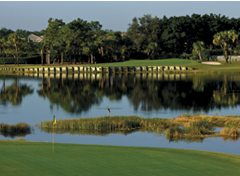 Ironhorse Country Club is passionately committed to delivering the ultimate golf experience to our Members and their guests by blending a pure golf experience with the natural beauty and desirability of Palm Beach County. Located just minutes from the beach and Downtown West Palm Beach, Ironhorse Country Club is a classic golf club reserved for those who have a devotion to the game and its traditions, and value the camaraderie of a true private club experience. Limited golf memberships entitle a privileged few to 18 exhilarating holes on our recently renovated, signature Arthur Hills-designed golf course and the amenities of a very private club. Our exclusivity assures tee-time availability. The state-of-the-art Golf Learning Center offers a 32,000-sq.-ft. practice tee with five target greens, more than 25,000 sq. ft. of short game areas and a 10,000-sq.-ft. practice putting green. Our PGA professional staff conducts comprehensive instructional programs custom-designed for all ages and skill levels. To request membership information, please call us at (561) 624-5551. 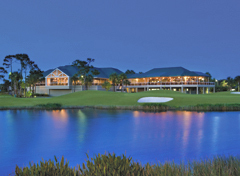 The magnificent 27,200 square foot clubhouse features a spectacular 180 degree panoramic view of the 1st, 10th, and 18th holes. 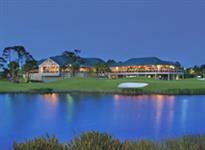 The clubhouse offers three dining rooms: the Signature Dining Room, the Buena Vista Room and the Grill Room. The Fitness Center is equipped with a variety of cardio-vascular and weight machines, and an aerobic workout studio equipped with a television and VCR. Our oversized lap pool is the perfect place to cool off after a round of golf, tennis match or fitness workout. Nestled amongst beautiful trees and flowers is our tennis complex. Complete with six (6) hardtru courts, a separate tennis pro shop, and a full-time tennis professional, Ironhorse offers the tennis enthusiast a challenge at every level of play.